Both brothers have numerous life altering seizures. Brett recently went through a day of experiencing 14 seizures and Brynn, regardless of medications and a VNS implant, still experiences unpredictable seizures. “We’re doing all we are able and we are on the right track. A seizure service & alert dog for the boys will give them a sense of safety and increased confidence while giving me much needed Peace and stress relief.” says mom Denise. They are winning because they have a strong support circle surrounding them. Their mother, Denise is a strong prayer warrior believing in healing and standing in Faith. Their dad, Brian is hard working. The Brothers also have four other siblings. The family has the National Seizure Disorders Foundation, our resources and support at a moment’s notice. Consider the life these brothers lead. Their seizures, although diagnosed, are uncontrolled and unpredictable. This leaves the whole host at unrest. The family needs peace, mom needs rest, and the boys need healing. National Seizure Disorders believes to achieve positive seizure management, the only true and positive journey to healing with seizure disorders, one must believe and practice Hope, Faith, and Love. Among these, Love is the emotion that heals. Brynnon and Brett need the Love of those around them, those that know them, and strangers right now. Everyone reading this has the opportunity to Love these brothers through positive thoughts, prayers, donation, and sharing this story with others. 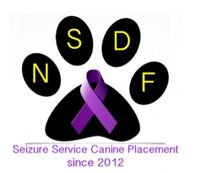 National Seizure Disorders Foundation has made it easy to donate.